We found 1 episode of Monkey Tail Podcast with the tag “smoke and sacrifice”. 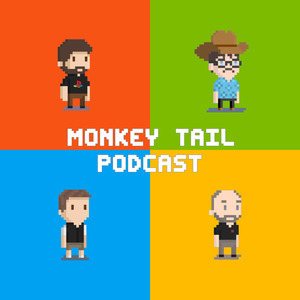 Join Bruno and Marius on another edition of the Monkey Tail Podcast. On this episode we talk all things EGX 2018 with games like Metro Exodus, Kingdom Hearts III and The Gardens Between, as well as the other games we've playing the past couple of weeks, Smoke and Sacrifice, Door Kickers: Action Squad, Detroit: Become Human and much more.